A mysterious package arrived this week from Franciscan Media (formerly St. Anthony Messenger Press). I’m always happy to receive a package in the mail, but until I tore it open, I had no idea what might be inside. 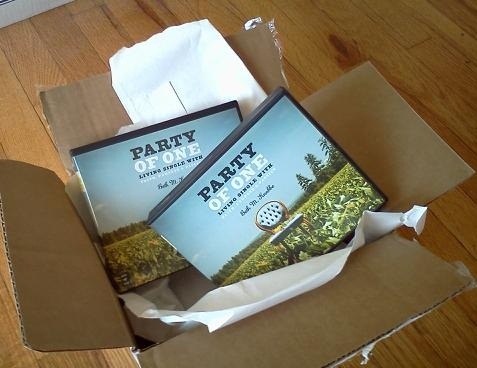 Much to my delight, the box contained two complimentary copies of the audiobook of Party of One! We finished the recording way back in September, and I had completely forgotten that these were on their way. The first question I often receive about the audio book is, “whose voice is on the recording?” Well, it is me. Answering that question again this week brought to mind this unfinished blog entry that’s been sitting on my desktop for nearly six months. Prior to sitting down in the recording studio, I skimmed through the book – mostly to take note of a typo or two that were missed in the last round of edits. I did not, however, read through the entire manuscript page-by-page. Several hours into reading the book aloud, I wish I’d been more prepared! Upon completion of the manuscript, I felt more confident and comfortable with the single life than I’d ever been before. Sitting there alone in a soundproof booth, just me and a microphone, with the sound engineers three doors down the hall – I felt a surge of emotions that I had not anticipated. Don’t get me wrong, I love being single! Most days I am content and completely happy in my relationships, my work, and my personal life. 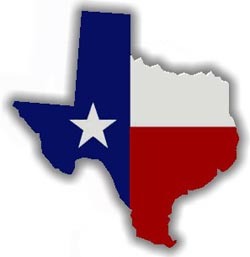 This is truly the place where God has called me to be. And yet, as I’m sure is true with any vocation, there is that occasional nagging “if only” voice. If only I were in a relationship. If only I had made different choices along the way. If only things could be different. Is this really where I’m supposed to be? Reading the book cover to cover allowed me to reflect on the current state of my single life, and I was surprised at how much I need to hear my own advice. I was amazed at how often I talk about “living in the moment.” Staying present in the moment is not always easy. Invariably, we sometimes give in to worry or comparing ourselves to others or a need for control. Gratitude is a helpful spiritual tool for staying present to what’s in front of us. Ultimately, gratitude shows me where love is present in my life: where intimacy resides in my relationships, where laughter overflows in my friendships, and how the generosity of friends and strangers alike provides for what otherwise seems to be missing. I tell a story in Party of One about a pottery studio in southern Utah that I visited many years ago. 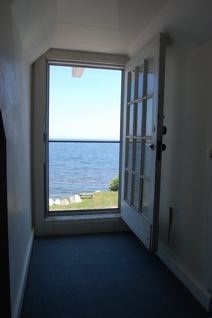 I also spent a significant part of the summer on the East coast on retreat and visiting friends. All of this reminded me of how much I love to travel, and how desperately this sense of adventure has been missing from my life! God, who first breathed life into us at the beginning of time, is the ultimate Artist. 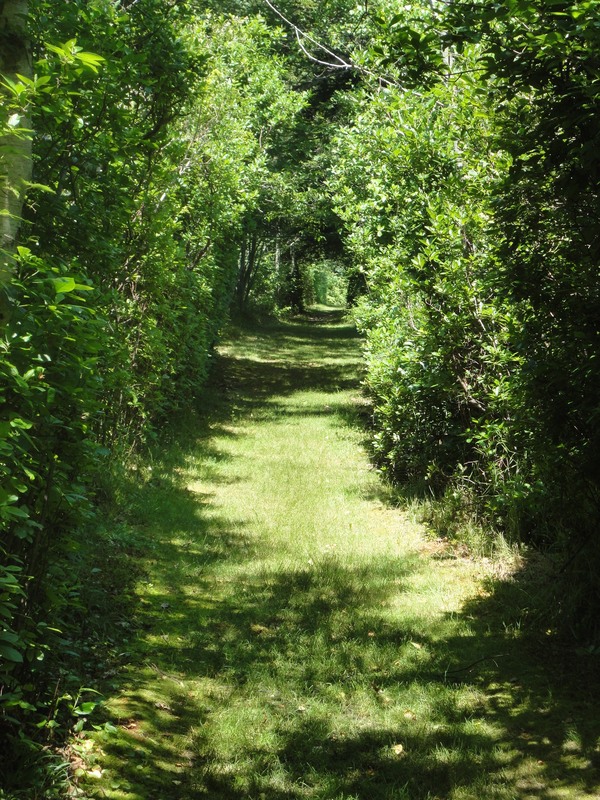 It is in God’s very nature to be generative. As children of the Artist, we all have inherent creative instincts. … As single people, it is important that we find an outlet for being generative in order to fulfill that hope and desire that our activities and relationships become life-giving for others. 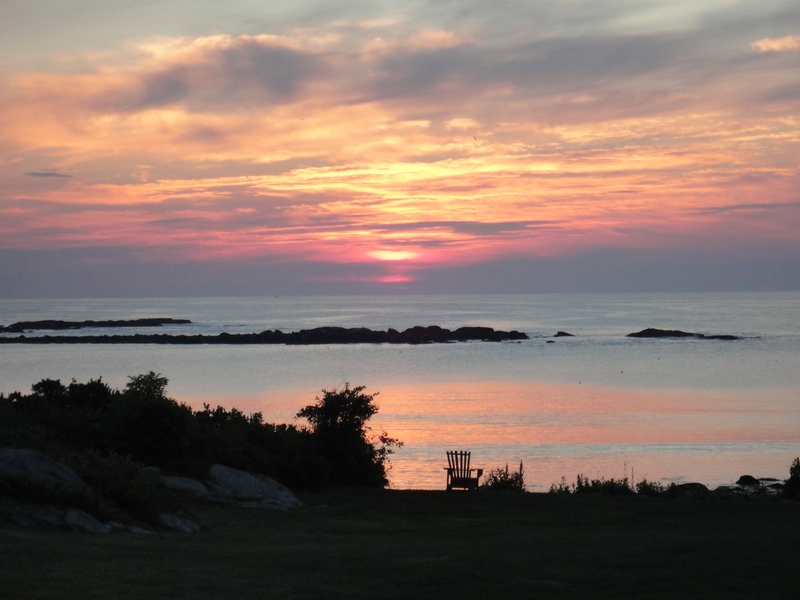 Finally, I’ve been reconfiguring my work-life balance, and the chapter on hope rang true on many levels. As I’m now finishing this blog entry at the half-way point of Lent, it also seems fitting to mention that hope is at the heart of the Pascal Mystery. As we allow pieces of our past to die, we trust that new life is on the horizon. My Lenten journey has been all about “breaking up” with bad habits and allowing new opportunities to unfold. That is how transformation happens. 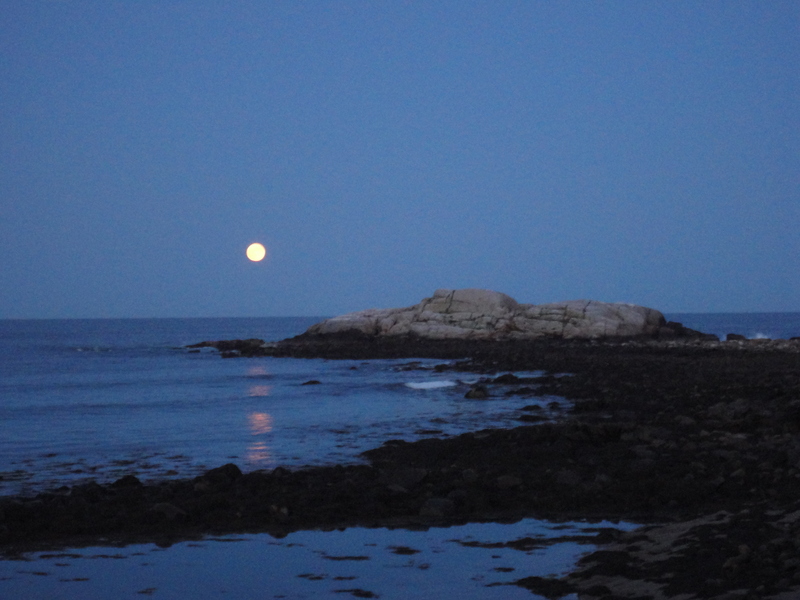 Hope means letting go of the past, holding onto what is good, and re-imagining the future. What remains when all else is stripped away? What in my life, what of my purpose, my identity, my mission, and my values in life still remain? Maybe there is nothing obvious at first glance. But perhaps there is a tiny seed of hope buried deep in the darkness. 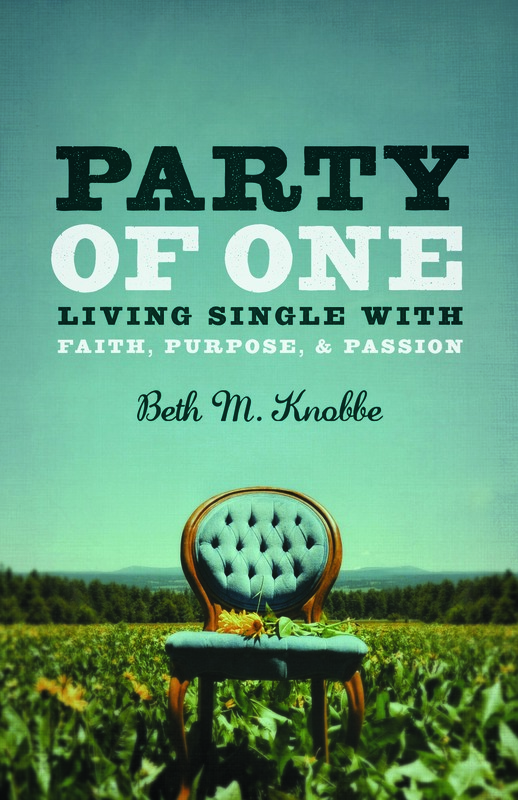 Party of One: Living Single with Faith Purpose and Passion – Available in paperback, Kindle edition, and now in audio format! One week ago, the Catholic community lost an important teacher, mentor, and biblical scholar. Sr. Barbara Bowe, RSCJ returned home to God last Sunday, March 14, 2010. I knew Barbara as professor, advisor, and travel companion. A kind spirit with a sharp intellect and a deep love for sacred scripture, Barbara was a genuine teacher who truly cared about her students. I think Barbara would have whole-heartedly supported this project on the single life, and it is for this reason I miss her most today. Upon graduating from Catholic Theological Union in 2007, I had the great privilege of traveling with a group of students to the Holy Land. 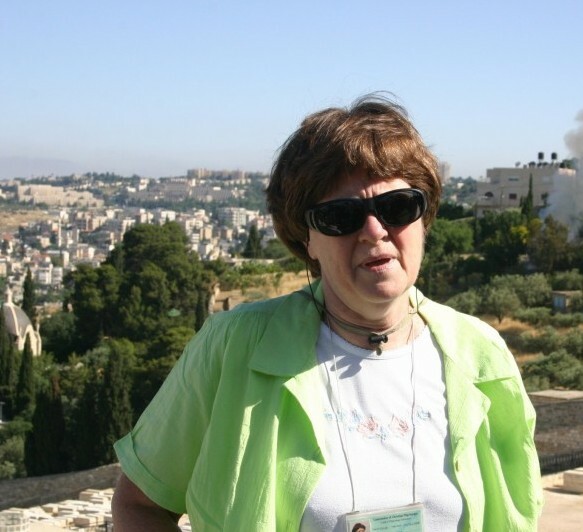 Barbara served as tour guide and retreat master for this two-week pilgrimage. One of the highlights of the trip was our stop at the Jordan River where we took time to remember our baptismal promises. Barbara invited each of us to voice in our own words, the promises made at our baptism and to reaffirm our commitment to ministry. This opportunity to share my “call story” was a defining moment for me as I truly accepted God’s invitation to preach, teach, and lead others in a gospel way of life. Several weeks after the trip, I received an email from Barbara thanking me for my participation and inquiring about the statement I voiced during our prayer service at the Jordan River. My reason for connecting is to tell you how much I enjoyed being with you in Israel … I was particularly moved, Beth, by your sharing at our baptismal renewal at the Jordan at Yardenit … and something you said that day makes me want to say to this — if religious life is a viable option to consider in your future — I would be happy to talk with you and have you consider the Religious of the Sacred Heart. If that option is not even remotely on your computer screen … then it is our loss. I was flattered and grateful for her invitation. It was not the first time, and surely will not be the last time, that someone suggested I consider religious life. Barbara extended this invitation with absolute sincerity and without any expectation of what my response should or ought to be. In return, I felt completely free to be honest with her. I explained that with much prayer and discernment, I have found a tremendous and ever deepening call to life as a single person. While I continue to hold open the possibility of religious life, and even marriage, I don’t see either one of those happening anytime soon. Several weeks later, I received an equally generous and affirming reply. Your clarity of mind and heart speaks volumes of a spirit-filled call to be who you are. Who could wish anything other for our friends? Of course, I am happy to be a sounding board for you at any point as you continue to respond to God’s action in your life. Barbara’s invitation for further conversation crossed my mind many times over these past two and half years. Life gets busy. School, travel, and work took up both our time, and our conversation never took place. Our last email exchange occurred in late September 2009. Barbara agreed to write a short blurb for the back cover of my first book Finding My Voice: A Young Woman’s Perspective. When I wrote to express my thanks, she confessed to only skimming the manuscript and looked forward to reading the entire work. She was dealing with a variety of health challenges and decided to take a medical leave for the Fall semester. A few weeks later she was diagnosed with a malignant brain tumor. I wish Barbara were here to see this next project into fruition. My desire to write a book on the single life is the result of much discernment and flows from that same call about which Barbara and I briefly spoke. There is so much more to be said, and I wish she were here to listen. In Barbara’s own words, I wish to express my hope for anyone who stumbles upon this blog and the book that will follow. To all those who wonder about what it means to be single and how this fits into God’s call for your life: May God grace you with the clarity of mind and heart that speaks volumes of a spirit-filled call to be who you are. Who could wish anything other for our friends? Thank you Barbara for believing in God’s unique call to each one of us, for creating the space to bless and affirm that call, and for inviting countless students to discover the holy places where God dwells. May you rest in peace.